Perimeter Mall continues to grow its burgeoning food roster with plans to add Breakers Korean Grill & Barbecue in place of The Pub on the front side of the Dunwoody mall. 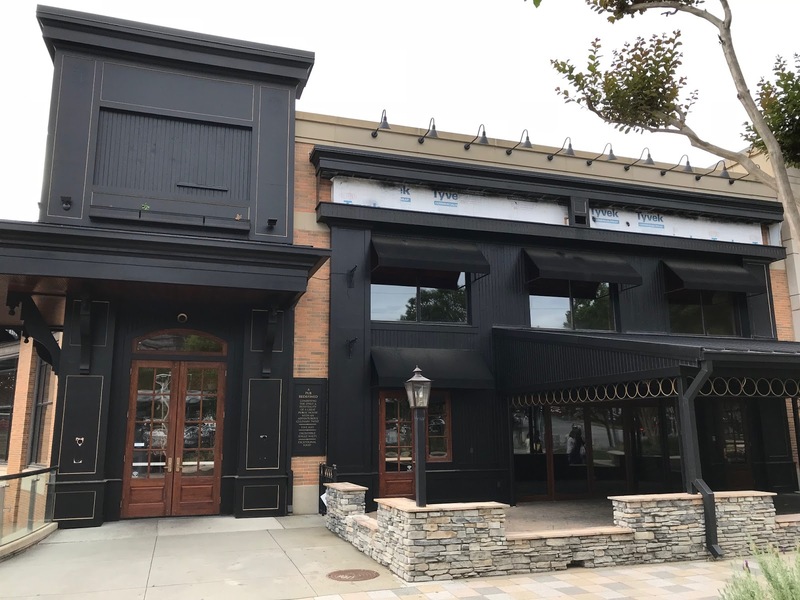 Breakers will open between Cowfish and Max's Coal Oven Pizzeria in a large portion of the former Hudson Grille most recently occupied by The Pub, which itself closed early this past January. 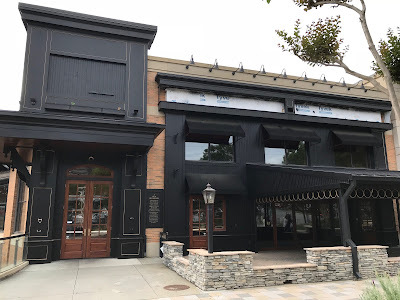 Breakers joins the recently opened Cinco Mexican Cantina as new dining additions to the General Growth Properties (GGP) owned mall. The first Breakers opened on Gwinnett Place Drive near Gwinnett Place Mall in early 2015. In the years since, the restaurant has grown to to a total of five locations with additional outposts in Los Angeles, CA, Fairfax, VA, Carrollton and Frisco, TX. Korean barbecue refers to the method of grilling meat, typically beef, pork, or chicken, on a gas or charcoal grill built into the dining table itself. Breakers features state-of-the-art "downdraft" lump charcoal grills and prides itself on creating an upscale atmosphere for its patrons. Breakers was started by Bobby Kim and his son and current 7th District congressional candidate, David Kim. David Kim also founded C2 Education, a test prep tutoring company, with about 200 locations, where Kim serves as Vice Chairman. As we were first to announce this past August, fellow Korean BBQ eatery Iron Age is also opening a new Atlanta area location, this at The Prado in Sandy Springs. The Prado location, which is opening in place of Kobe Steaks, expects to open in about a month. Sources close to Perimeter Mall indicate that Breakers could open late this year, but their opening may be dependent on resolving sewer issues at DeKalb County that have already delayed a number of other restaurant openings. Are you excited for the opening of Breakers at Perimeter Mall? What is your favorite dining establishment at Perimeter Mall? Have you ever been to Breakers or another Korean BBQ eatery? I am looking forward to trying Breakers and glad to see something totally different going in there. The only Korean BBQ I have tried so far is Han Il Kwan at Buford Hwy and I-285. It was really good and very authentic. Some of my Korean clients took me there and I was the only American in the place. Good luck. That location is cursed. Wasn't that space originally a Garrison's? Maggiano's, Cheesecake and Goldfish all took but that space has not been as successful. Yes, the space was originally a Garrison's Broiler & Tap. It, like Hudson Grille, were Metrotainment Cafes concepts. "The only Korean BBQ I have tried so far is Han Il Kwan at Buford Hwy and I-285. It was really good and very authentic." So if you've only had it once, how can you judge its authenticity? My clients who took me there were the Korean American Association of Greater Atlanta. We were celebrating the acquisition of their new headquarters. The organization is made up of prominent Korean leaders and business owners in the community and while I am not that knowledgeable about Korean culture, these men and women certainly were. I do not see this surviving at Perimeter Mall. I think something more like Dean and Deluca would foster a good atmosphere and community at Perimeter Mall and would give Alons something to compete with so that they can up their game.Alons is capable of so much more but they’ve gone completely downhill and status quo over the years. They never change their menu and they don’t train their people like they once did. The food is not consistent. And is now boring. how disappointing for something that was once great. I like to go to 48th st market in Dunwoody instead of Alons. That would be great to take over the restaurant space in the front of perimeter mall. I agree it would be nice if Dean and Deluca set up a store here in Atlanta. I live in Charlotte and it was always a nice place to shop but they are having problems themselves ... And closing stores. Sad. I hope Breakers does a good job here because it is something different in this area. If the wealthy financiers (executives) of NY and Charlotte NC cant keep Dean & Deluca in business then Atlanta could never support them.